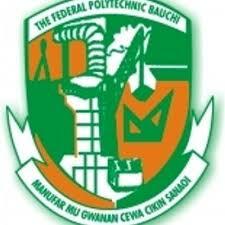 The Federal Polytechnic, Bauchi, Bauchi Poly Matriculation Ceremony Date for Newly Admitted ND1, HND1 and Diploma Students for the 2017/2018 Academic Session. This is to inform all Staff and students especially HND 1, ND 1 and Diploma 1 students of the Federal Polytechnic Bauchi that the 2017/2018 Matriculation Ceremony has been announced. The Matriculation Ceremony is now scheduled to take place on Wednesday 11th April, 2018 by 9am at 510 Seats Lecture Hall of the Polytechnic. Staff and Students are to take note of the new development, please.